Part III of the trilogy that began with Just Hit The Damn Ball! This series reveals practical mental tools that are often overlooked in traditional instruction. 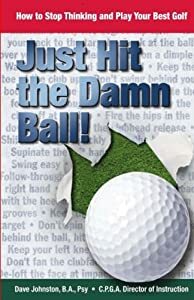 The dialogue is based on a real-life conversation between a student and an author researching a new golf instruction book. During a nine hole round, Jonathan comes face to face with some unconscious beliefs about his game. As the game progresses, Jonathan comes to realize that his handicap is a reflection of habitual ways of thinking and acting. The series is based on fundamental concepts of Neuro-Linguistic Programming (NLP) as popularized by Tony Robbins, Dr. Harlan Kilstein and Dr. Karl Morris. It's a quick and easy read that any golfer can understand and quickly apply. At 2 months old a horse almost takes his life. Horses become part of his livelihood for the next 60 year. Follow a boy who works alongside German prisoners of war. At 15, runs away with the circus. Travel the adventure trail to be a cowboy in the Chilcotin in the heart of the Caribou. Venture's to the Peace River Country, to become a Forest Ranger. Is instrumental, sending a politician to jail. 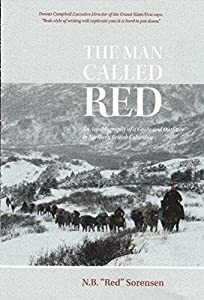 Learn how he and his wife with six small children face the wilderness to build a homestead into a ranching enterprise, 24 miles back in the mountains from the nearest road. Trades - their ranch, for the farthest ranching operation, in Northern British Columbia on the Alaska Highway. Has a horse save his life from drownings. Buys a Hunting Area, becomes one of the most successful Big Game Outfitters in North America. Bush pilot, who walks away, from four major, airplane crashes. Stories of Hunters adventure in pursuit of Mt. Sheep, Moose, Mt. Caribou, Mountain Goat, Grizzly and Black Bear. Crosse's the Berlin Wall. With a wife that stood by him through thick and thin. Enter the minds of some of the martial arts world's most respected fighters and trainers. 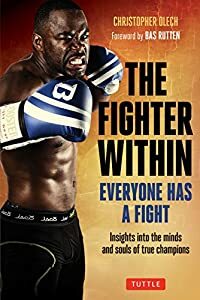 The Fighter Within is an inspirational book for Mixed Martial Arts fans which brings insider stories, heartfelt moments and the human element to what's perceived as a savage sport. It reveals thoughtful, encouraging and even lighthearted insights into the minds and souls of true champions. It describes the attributes that lead to success in a sport that demands dedication, forethought and intellect—traits which are applicable to all of life's challenges. Displaying the most impressive throws, compelling armbars, dominant pins, and decisive chokes, judo is a particularly powerful sport and martial art that can bring opponents into submission in highly effective ways. With determination and perseverance, such tremendous power could be yours. Designed with safety considerations in mind, judo allows people of all ages to be involved in a long-term fitness activity with opportunities for continuous improvement. Judo is a way of life that promotes physical and mental harmony, encourages the development of self-confidence and leadership abilities, prepares practitioners to act in self-defense, and instills values such as discipline, respect, and diligence. Judo is also an Olympic sport that has been gaining increasing worldwide visibility. 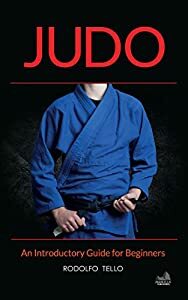 This concise book covers the fundamentals of judo and provides a roadmap for the development of judo expertise. Book 1 in the trilogy series that will help you move beyond swing mechanics and discover your natural ability. You will learn how to practice less and play better, avoid common misconceptions and discover the real value of golf instruction. This book is based on records from over 11,000 lessons given over a 31 year career. 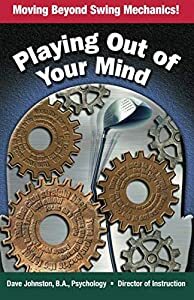 You will learn mental techniques used by the world's best players. The concepts are presented in an easy to read anecdotal style that you can apply immediately. Learn how to control your memories and discover the path to constant improvement. 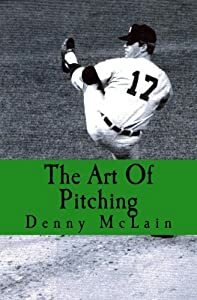 Two time Cy Young Award winner and MVP with The Detroit Tigers, and baseball's last 31 game winner Denny McLain, tells how to become a better pitcher with instruction in grips, stances, delivery and how to play the game at the highest level. For beginning and advanced pitchers, The Art Of Pitching gives tips on how to dominate the mound and control the game from the pitchers position. Pictures, ideas and the experience from one of the legends of the game. Short-listed for the ForeWord Reviews Book of the Year Award in the Sports and Adventure/Recreation categories. A marvelous book! The photos and artwork alone are worth the price. Every essay shines with insight, and the editing is superb. I was particularly moved by Joseph Distler's memorable ubi sunt tribute to the encierro and its legendary runners.—James Carlos Blake, author of eleven novels as well as many short stories and essays. His work, which frequently focuses on the American outlaw life, has earned several literary awards, most recently the French Grand Prix du Roman Noir Étranger for the novel Red Grass River. His latest novel is The Rules of Wolfe, published in 2013. Bullfighting all but disappeared from the news and sports pages of America and other countries some fifty years ago. Champions of bullfighting such as Ernest Hemingway and James Michener are no longer available to tell its story. And so it has fallen largely on the aficionado to bring the story of bullfighting into the 21st century. That is the aim of Olé: Capturing the Passion of Bullfighters and Aficionados in the 21st Century. 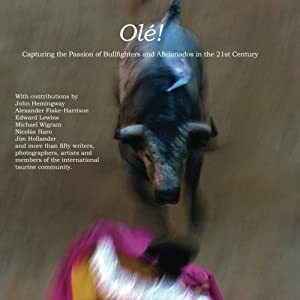 Among the contributors are Edward Lewine, author of Death and the Sun: A Matador’s Season in the Heart of Spain; Ernest Hemingway’s grandson John Hemingway, author of Strange Tribe: A Family Memoir; Michael Wigram, co-founder of 6Toros6, perhaps the most widely-read bullfighting journal in the world today; Alexander Fiske-Harrison, author of Into the Arena: The World of the Spanish Bullfight, Madrid-based journalist Bill Lyon, and Joe Distler, among the most renowned of all Pamplona runners. The book features more than 300 photographs, most in color. Among the contributing photographers are Nicolás Haro, Jim Hollander, Mark Mecalis and Ric Polansky—all of whose work should be familiar to fans of the corrida de toros. Some say the golden age of the bullfight has passed. A half-century ago, bullfighting was featured on the cover of Sports Illustrated while Hemingway’s words about the corrida de toros were serialized in the pages of Life magazine. Bullfighting has managed to remain a part of 21st century culture, not only in Spain and Mexico but in other countries as well. There are dedicated followers of the corrida de toros in many European countries as well as the United States. Aficionados can even be found in China. No matter where they may live, aficionados share the trait known as el gusano. It is a Spanish term applied to those who have been “bitten by the worm.” Many people may regard it as an unusual term but as every aficionado soon learns, once the worm bites the wound never heals. If you deny a woman's history, you erase her identity. 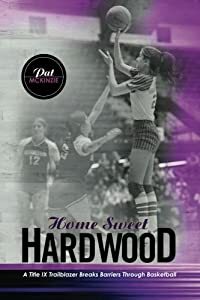 For the first time, I reveal the athlete's story, from a female perspective, during forty years of rapid social change since the passage of Title IX. What makes it different from other sport biographies is the voice, of a woman who walks the talk, who dribbled the ball and tells the story. This is the book I longed to read when I was I coming of age. It is a tribute to my mother, my sisters, my coaches, my players and teammates, and all those who fought before me and along side me, so that today no female ever questions her right to be all that she can be. It speaks for the silent pioneers of the past and salutes our highflying daughters of today. So what? Who cares? Anyone coaching an athlete. Anyone playing ball. Anyone loving a game. Anyone raising a daughter. Anyone chasing a dream. 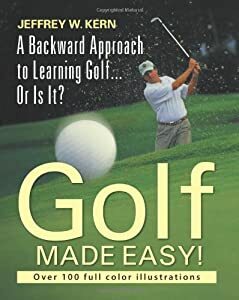 A Backward Approach to Learning Golf... or Is It? It began as a Depression-era, winner-take-all challenge between two Chicago stockbrokers, one of them a flamboyant daredevil with more guts than money and the other with more money than sense. 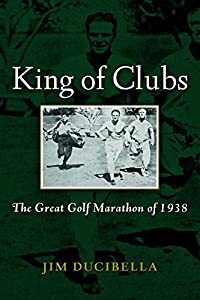 It erupted into a national news story, one never told in its entirety—until King of Clubs: The Great Golf Marathon of 1938. In September 1938, thirty-two-year-old J. Smith Ferebee agreed to play 600 holes of golf in eight cities, from Los Angeles to New York, over four consecutive days. The ordeal meant playing more than thirty-three rounds in just ninety-six hours. The stakes: Ferebee’s friend and former business partner Fred Tuerk agreed that if Ferebee succeeded, he would pay on Ferebee’s behalf a $20,000 mortgage on 296 acres of waterfront Virginia land. If Ferebee lost, he would surrender to Tuerk his ownership stake in the property. Brokers on LaSalle Street in Chicago piled up bets. Before long, the marathon was estimated to be worth $100,000, or well more than $1 million today. Playing despite a severe leg injury, Ferebee faced one obstacle after another, including a gambler’s brazen sabotage attempt in Philadelphia. He started the morning rounds before dawn and ended the afternoon rounds in darkness, with lighting provided by spectators’ cars, local fire departments, or flares. Remarkably, Ferebee never lost a ball. Combining the appeal of Seabiscuit and The Greatest Game Ever Played, King of Clubs will amaze and entertain readers from opening drive to final putt.